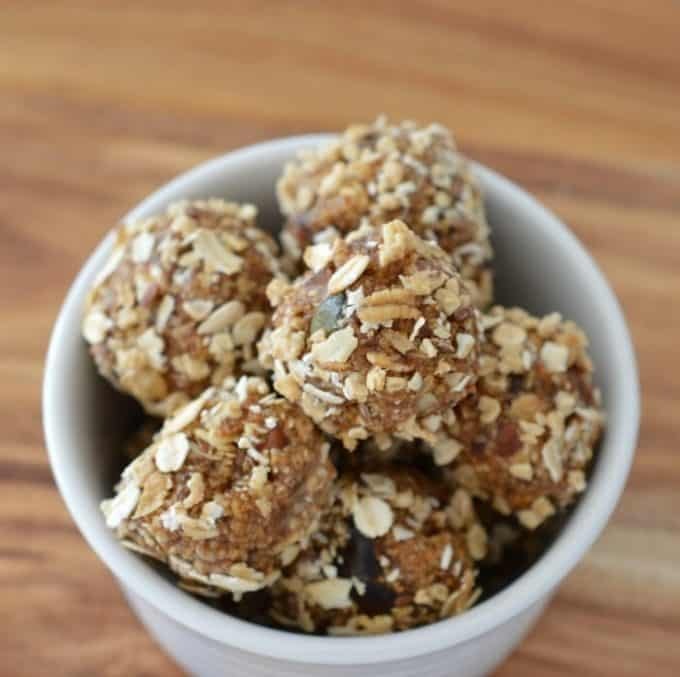 These Thermomix 3 Ingredient Bliss balls are the perfect snack to curb any sweet sugar cravings you may have and best of all they take just 10 minutes to make! You all know that I love chocolate as much as anyone (ok, maybe even a little bit more!) 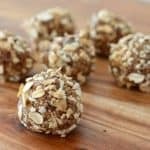 but sometimes I really don’t feel like chocolate but still want something sweet and that’s where these 3 ingredient Bliss Balls come in. They are easy to make (seriously! ), you only need a three ingredients and you can enjoy them in no time at all – what more could you want?! They are also a great lunchbox snack for school or kindy, just make sure you use a nut free muesli. Even though my boys call these ‘rabbit poo balls’ thanks to my husband, they still love to eat them and I have to hide them in the fridge to stop them from all disappearing! You can also make these in advance and store in the freezer, so much cheaper (and more delicious!) then store bought snacks! If you don’t have a Thermomix, don’t worry! 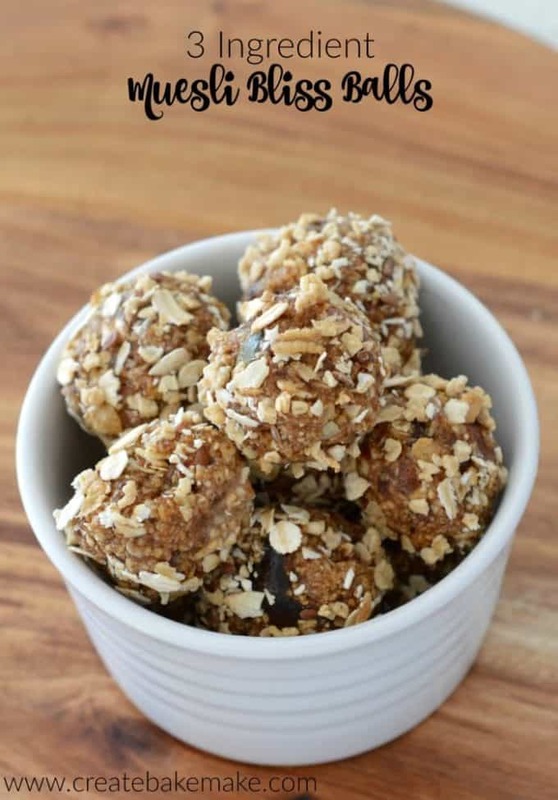 You can also easily make these in a food processor or with a stick blender and can find the conventional recipe for these 3 ingredient Bliss Balls here. Place 1/2 cup of the muesli in a small bowl and set to the side until needed. Place the remaining muesli, dates and rice malt syrup into your Thermomix bowl and mix on speed 6 for 10 seconds. Scrape down the sides and mix for a further 10 seconds on speed 6 or until well combined. container and store in the fridge for up to 1 week. What’s your favourite sweet treat besides chocolate? I love that you added toasted muesli to this to give it that crunch! 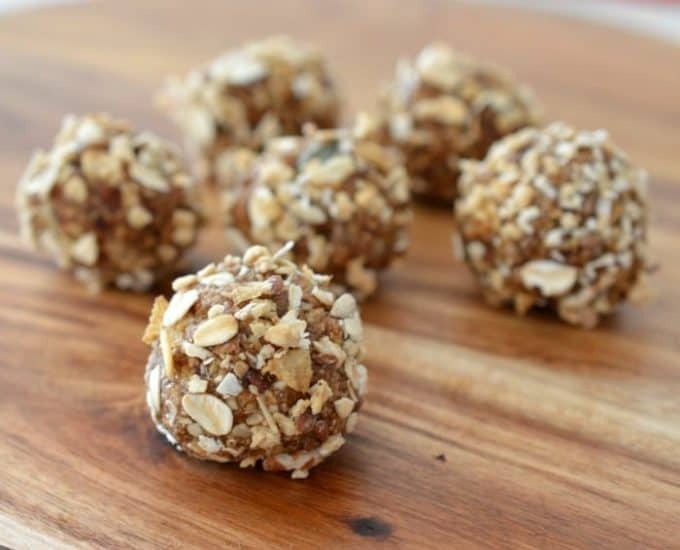 Bliss balls are one of my favourite treats to make! Three ingredients? Yes, please! These look amazeballs! I bet you could make these with homemade granola too, right?! Of course, that would make them eve more amazing I think! Thanks Lisa, it’s such a grew way to use up the last of the muesli!